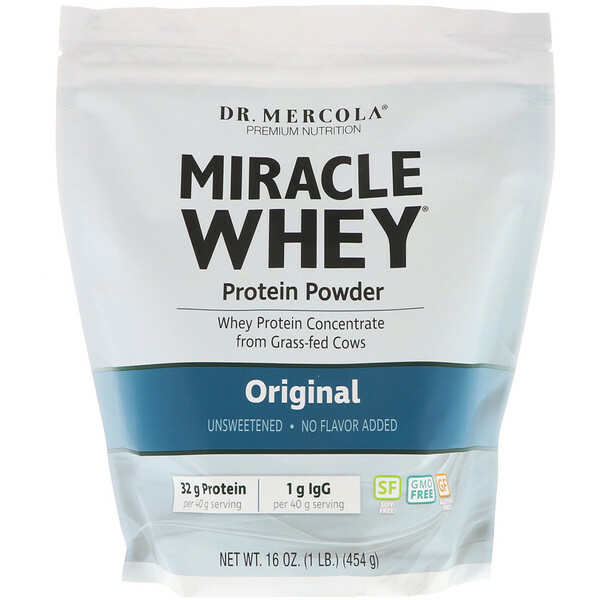 Miracle Whey Protein Powder contains Whey Protein Concentrate sourced from New Zealand and Australian grass-feed, pasture-raised cows that are not given added hormones or antibiotics as part of their diet. 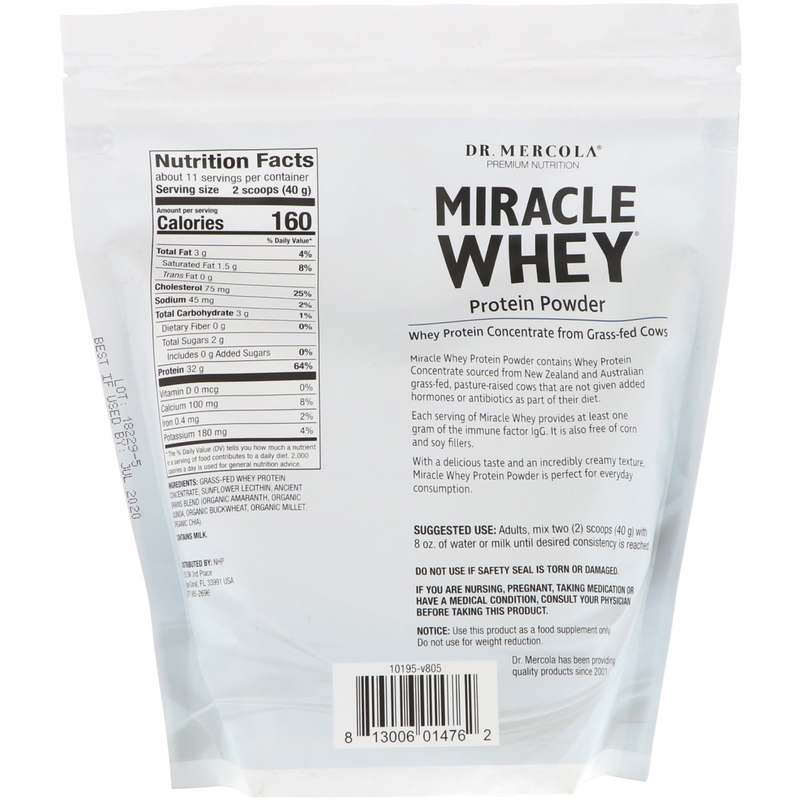 Each serving of Miracle Whey Provides at least one gram of the immune factor IgG. It is also free of corn and soy fillers. With a delicious taste and an incredibly creamy texture, Miracle Whey Protein Powder is perfect for everyday consumption. Adults, mix two (2) scoops (40 g) with 8 oz. of water or milk until desired consistency is reached. Grass-fed whey protein concentrate, sunflower lecithin, ancient grass blend (organic amaranth, organic quinoa, organic buckwheat, organic millet, organic chia). Do not use if safety seal is torn or damaged. *The % Daily Value (DV) tells you how much a nutrient in a serving of food contributes to daily diet. 2,000 calories a day is used for general nutrition advice.